One of my favorite parts of Christmas is wrapping presents. I love it! Over the years I’ve shared gift wrapping tips, how to make your own gift bags, and lots of gifting printables! 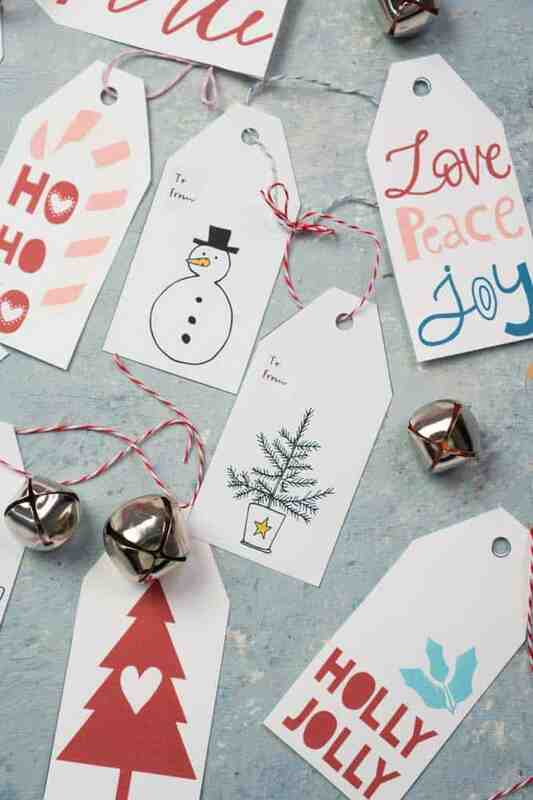 Today I wanted to share these free printable Christmas gift tags I created to use under my tree, and I hope you love them as much as I do. 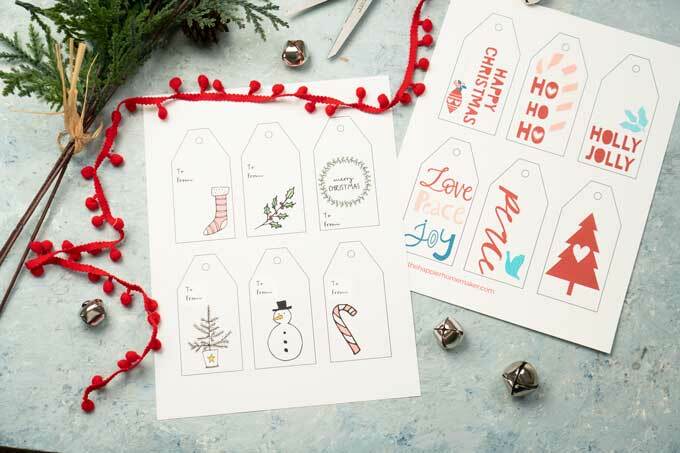 Download the printables and then print them on heavy cardstock for the best results. 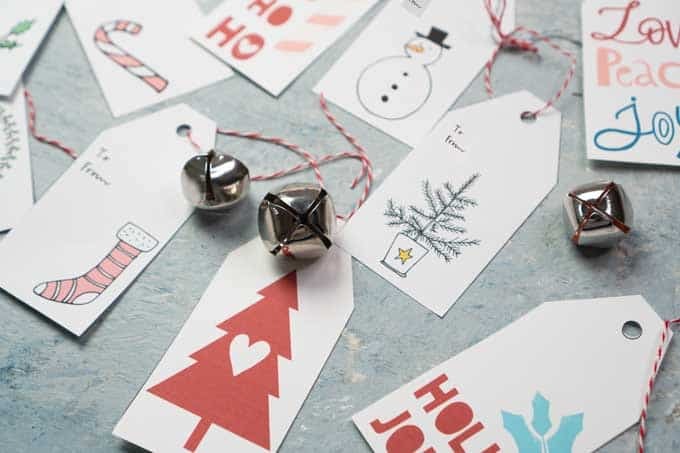 They are easy to cut out by hand with scissors and a simple hole punch. 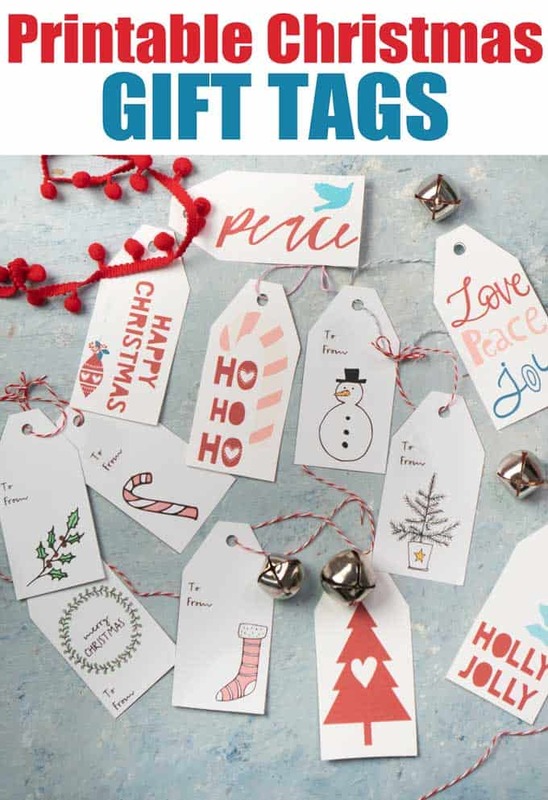 Click here to download the Christmas doodle printable gift tags and click here for the modern gift tags on the right above. I used some colorful baker’s twine to tie my tags, and I think they turned out so cute! Love the gift tags!!!! Printed them on cream paper and they look so cute. These are wonderful! I love how clean and simple they are yet very eye-catching! Thanks so much for sharing them! So glad to have them found them at 1:30am Christmas Day. Happy Christmas!